Enjoying a big ole salad of lunch. Nothing special really, just leftovers put together to make a balanced lunch to take to work. 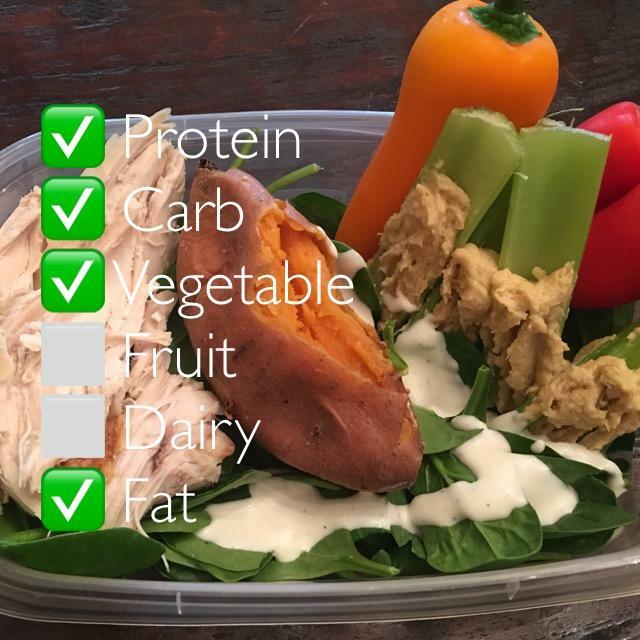 The protein comes from a rotisserie chicken, a medium sweet potato provides a complex carbohydrate, tons of veggies from the salad, celery and peppers, the hummus and ranch provide a fat choice.